I frequently represent the sun in my art work. It adds a heavy presence and deep meaning to my art. Sometimes the subject is an abstract of an earthly landscape, and other times not. One of the things that I enjoy the most about creating art is the feedback I get from other people describing what they see. Art is truly as subjective as they say, and so I think the meaning, impression and other descriptors of a piece must change depending on who is looking. I love the sun. 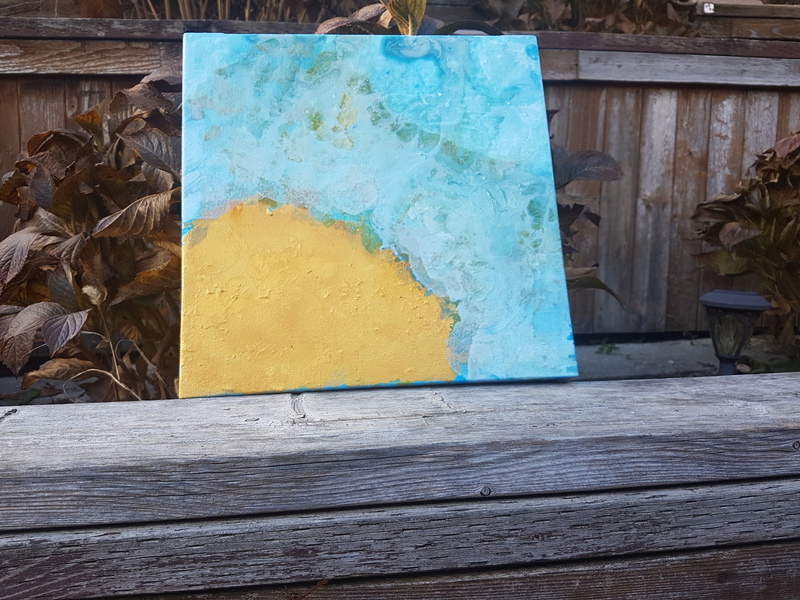 To me, my latest work is an island sun. Such a beautiful combination to have blue, green and yellow splashes representing the sun. 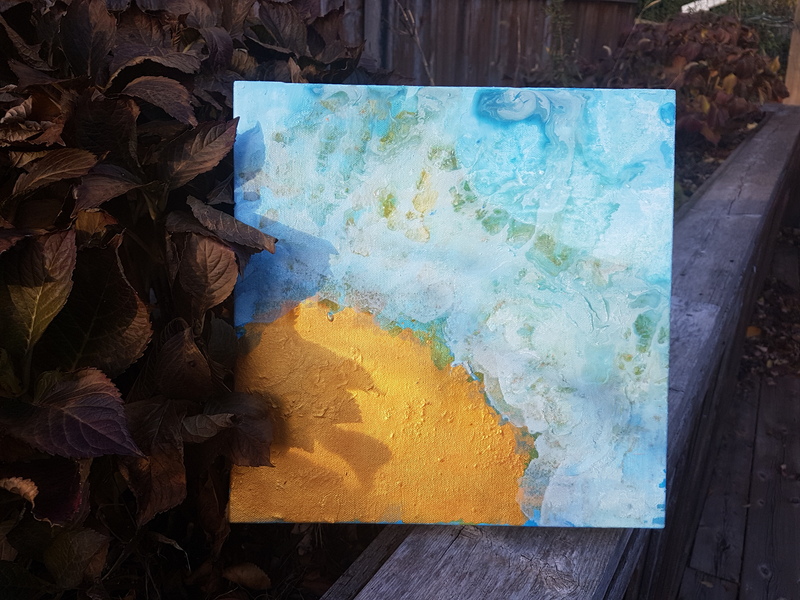 This 13 x 13 inch acrylic on gallery canvas is called Clarendon, and is the latest of my Fall 2018 series. Leave a comment to tell me what you see. More experimentation with texture in my most recent piece called No. 17. Texture is becoming really integral to my style- as is the use of gold and bronze. For me: the use of gold and bright reflective colors in my work represents the sun. In life, similar to the art that imitates it, there should always be a bright spot. I’m back at it again with my smaller sized canvas pieces. In this piece I used layering and marbling. The gold is a nice effect- as it draws the eye by creating a reflective/ metallic look. I’ve also decided on a more prominent and “swirly” signature to sign my work. I should be taking credit for my creative side and making my name known.